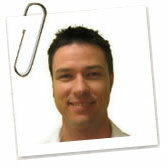 James Farrell was the programmer chosen for the Australian team which completed a great web site for the DDLC NSW. He kindly shares his experiences with SitePoint. TextPattern was our initial first choice of CMS. I spent a lot of time researching the product and installing relevant plugins. I also familiarised myself with Joomla. That would have been an option had we required a community or multiple user permission handling. I hadn’t met any of the team until the night before. Our first team meeting was dinner in a Sydney kebab shop. It’s not easy to choose a CMS before the event because you have no idea about the requirements. Although TextPattern was our first choice, we couldn’t find plug-ins to fulfil the brief. Joomla was also rejected because none of us had templating experience with the product. We made the late switch to WordPress because most of the team had used it, it has a good range of plugins, and templates are straightforward. In terms of limitations, perhaps our main problem was that we couldn’t set up a local development environment on our PCs and connect to a single common database server. WordPress saves the URL of the site in the database and, although I’m sure we could have got around this, time was tight and we had to move on. The development environment wasn’t ideal and it probably hindered us. In the last few hours we were uploading a lot of content and WordPress caused a few issues, such as losing changes. It was a pretty stressful time. We used Subversion for version control, but didn’t manage our code as well as we would have liked. The event was held during the Cebit Exhibition so random people would poke and chat with us. The time constraint meant we were limited in what we could deliver and created additional pressure when problems arose. It was frustrating not being able to start work until other aspects were completed. For example, Elle could not code the HTML and CSS until the design had been completed. Staying awake all night was easier than I expected. Concentration was a problem though — I had just one 15 minute break during the 24 hours. It wasn’t ideal but there’s so much to do in such a short time. We had to drop our newsletter management system (the Mailpress plugin). It had been working at an early stage but, during integration, it suddenly failed. I spent a while trying to figure out the problem but ran out of time. That was a big disappointment. In which areas did you beat your competitors and where did they beat you? I prefer our visual design, but that could be my personal preference or bias. Alexi did a great job with stimulating an emotional response, while communicating a strong positive message. It’s hard to criticize anything. It’s such a draining experience so I have nothing but respect for what the other team accomplished. It was a competition, but the important thing was that two great charities received fantastic web sites that will revolutionalize their day-to-day operations. Would you have done anything differently with the benefit of hindsight? Although WordPress was my favored option, I regret not having prepared more. I spent a lot of time researching plugins on the day. Ideally, I should have had a few solutions and platforms mapped out before hand. In reality, however, it’s difficult to find the time to prepare when you’re working full-time in the days leading up to the event. Definitely. I know WordPress well now and have a few ideas for plugins that I’ll start soon. Yes, I would do it again — even though it was the most pressured work situation I’ve experienced and probably took a few years off my life! I met lots of great people, both competitors, organisers and supporters.